Naeim Rahmani, a native of Isfahan, started studying classical guitar with no prior formal musical training when he was 22 years old, an age at which most aspiring professional musicians are well on their way to a career. He had a more than a few detours along the way: leaving Iran at 17, where education and employment opportunities for his minority Baha’i community were severely limited, and then spending nearly three years in Turkey awaiting approval of his refugee status in the United States. During that time he was not allowed to attend school or work. But he’s more than made up for it since. This past Sunday, June 3, as artistic director of the Seattle-Isfahan Music Project, Rahmani, now 33, presented the World Premiere of The Wheel, based on the Rubā‘iyyāt of Omar Khayyam and featuring a new generation of Iranian and American composers whose work is inspired by the Rubā‘iyyāt in either its musical structure or verses. Rahmani also performed on classical guitar, along with the Seattle Mandolin Orchestra and seven other musicians on strings, voice and guitar. “I began this project in order to foster connections between my current home of Seattle and my birth home of Isfahan,” says Rahmani, whose soft voice and easy smile belie the determination and dedication it takes to put a project like this together. “It’s not about looking at differences but bringing people together to show what we have in common musically and culturally. The poetry of The Wheel is also an essential element of this project because Khayyam is a significant figure in the United States as well as in Iran.” The songs in the program are also presented in the original Farsi, he noted. Music fascinated Rahmani from an early age and he often sang at community gatherings. As a child, he recalls picking up a stick and pretending to strum after seeing Persian musicians perform, but his family’s limited financial circumstances prevented him from studying music. Fortunately, in his teens, shortly before leaving Iran, Rahmani had an experience that helped set him on his course: he attended a concert by the renowned Iranian classical guitarist Afshin Torabi and realized that this was the kind of music he wanted to play. For those who are not familiar with it, classical guitar is an exacting instrument with a complex repertoire from Bach to modern Latin composers such as Sergio Assad. While it is similar to standard acoustic guitar, the music is played on nylon strings with intricate, often fast-paced fingerwork. While there is a small community of classical guitarists in Iran, the instrument is less well known than the traditional classical Persian string instruments such as the tar and setar. Naeim immediately distinguished himself as no ordinary person. The following year, he transferred to the University of Washington’s music program. Everything was on fast forward from then on. Rahmani practiced for up to six hours a day, took music theory classes and worked as a banquet waiter to pay his way. His next breakthrough came in 2010,when he saw the Cuban classical guitarist Rene Izquierdo perform in Seattle. “Rene took my breath away – I was shocked at the level of his mastery,” says Rahmani. He knew this was the person he needed to learn from. Says Rahmani, “Rene is such a great caring person, so loving – he always believed in me even more than I believed in myself.” For instance, it was at Izquierdo’s urging that Rahmani began performing around the United States and internationally, winning prizes at guitar competitions in Seattle, San Francisco and Louisville. Isfahan is also a theme of Rahmani’s next project: a musical collaboration with renowned movie composer Ali Samadpour to create an “Isfahan Suite” to be played by up-and-coming Iranian and American musicians. Meanwhile, Rahmani continues to live and work in Seattle, staying close to the world of music. He teaches guitar and music theory in the Performing Arts division at Bellevue College and is a booking coordinator for Aranjuez Artists, an agency for classical musicians. 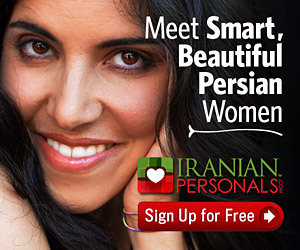 Avid traveler, relationship coach and lover of all things Iranian.